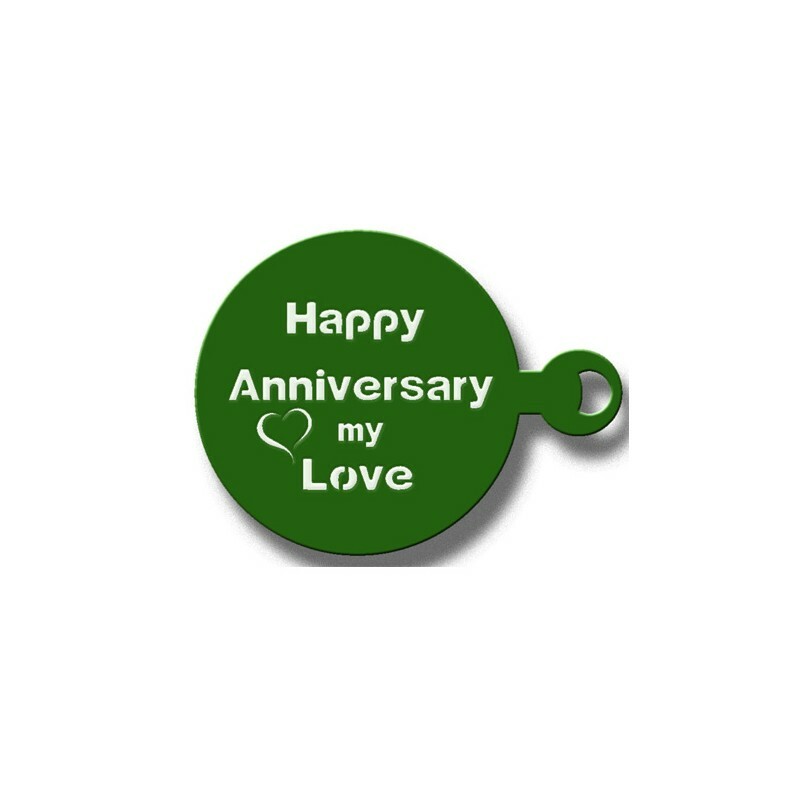 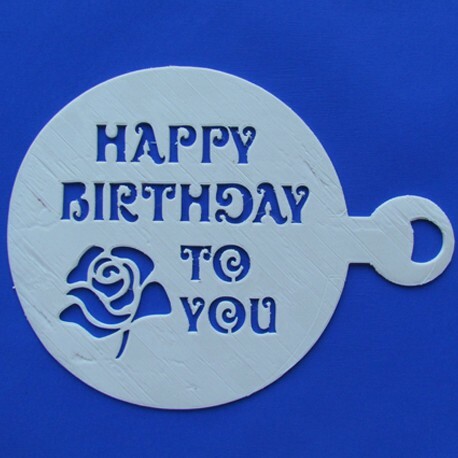 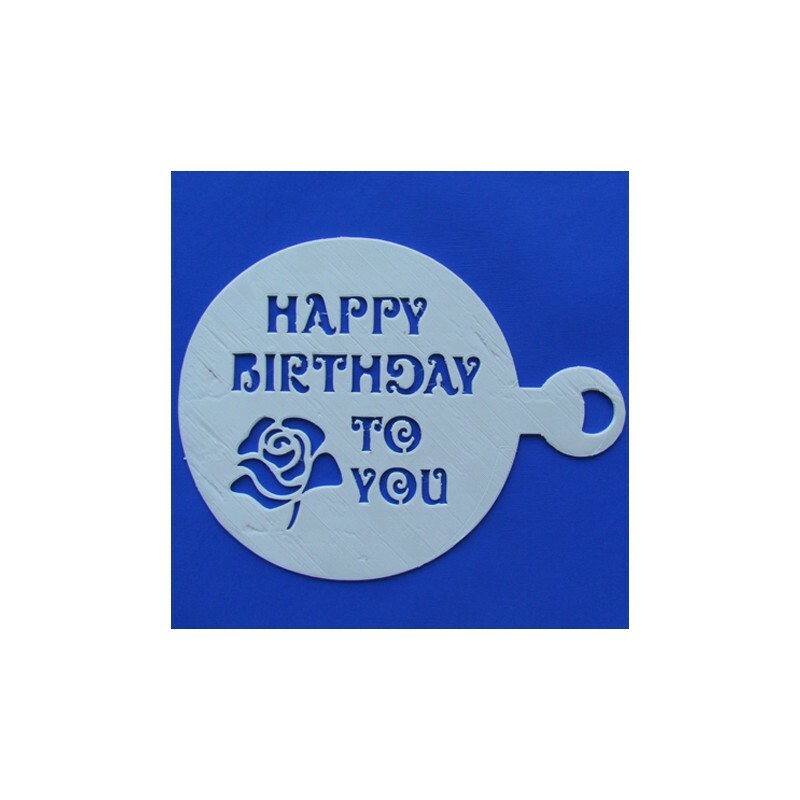 Our standard cake stencil is 20cm in diameter and is made from food safe PLA filament. 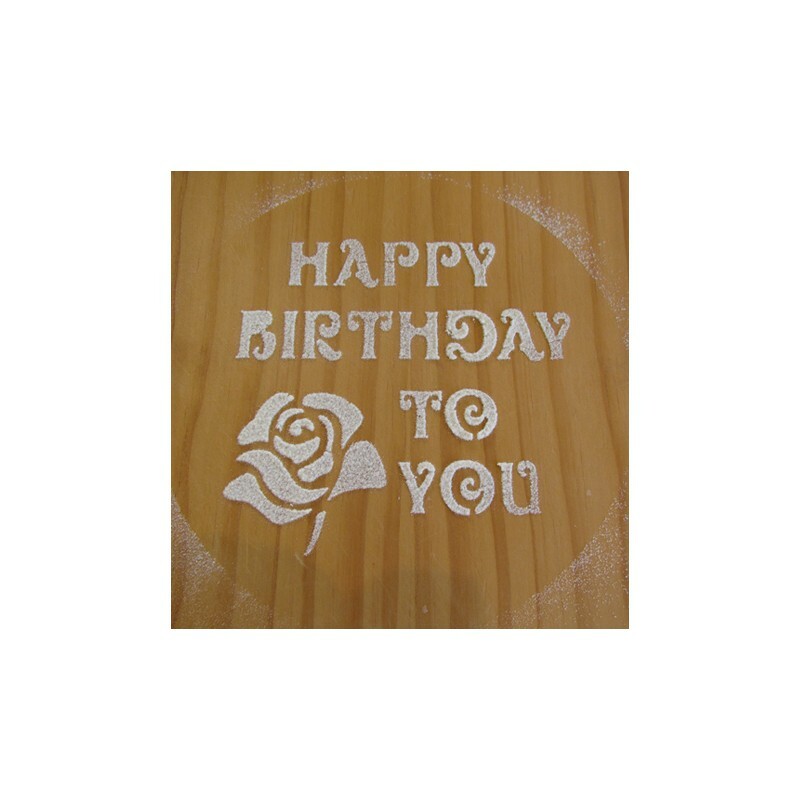 Your text of up 30 characters and an optional picture can be made into a stencil. 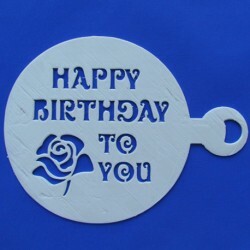 The stencil works best with bold outlines and not every image is suitable.